In this short guide, I’ll show you a simple trick to make sure you always capture clicks on a given element, regardless of what the surrounding HTML structure looks like. All this requires is a simple tweak to the CSS selector you use in the trigger. The wildcard selector literally means any descendant of the preceding selector. So given a selector like div#nav * would match any elements that are nested with a <div id="nav"> element, but not the <div> element itself. Let me show you a useful example. In this scenario, let’s say you want to track clicks on <div id="logo">, regardless of whether the click falls on the image element or the span. Why not? Because the click will not land on the <div>. Rather, it will land on one of the nested elements, because they are block-level elements that actually fill the wrapping <div> completely. Thus there’s no area left in the <div> itself that could be clicked! So, you need to instruct the trigger to track clicks on the <div> itself (this is a good precaution in case there’s additional padding that does introduce surface area to the <div>, too) and any of its nested elements. This is where the wildcard selector comes in handy. 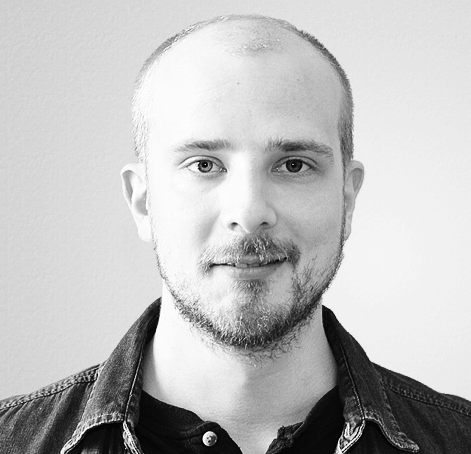 Track clicks that land on a <div id="logo"> element, or any element nested within this <div>. I’ll go so far as to say that whenever you use the All Elements trigger, always use this element, element * syntax. That way you’ll always be able to track clicks on the appropriate element, regardless of the nested HTML structure. The only edge cases I can think of is if you really want to track clicks on the borders of the wrapping element alone and not anything nested within, but I’m having trouble justifying this use case in a real-world scenario. 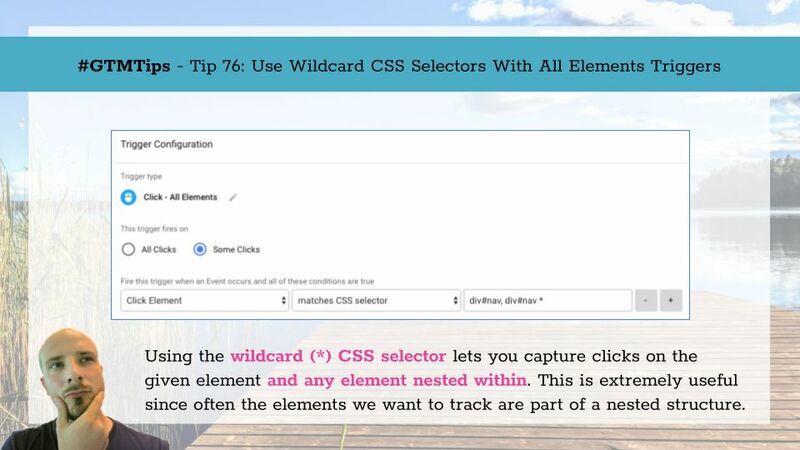 But in case you do want to track clicks specifically on a wrapping element, just drop the wildcard selector and simply use div#logo as the only selector.